On the 20th (Sat), take a stroll through SoMa. To see traveler tips, other places to visit, and other tourist information, use the San Francisco trip itinerary planner. Toowoomba, Australia to San Francisco is an approximately 22.5-hour flight. Traveling from Toowoomba to San Francisco, you'll gain 18 hours due to the time zone difference. When traveling from Toowoomba in April, plan for a bit cooler days in San Francisco, with highs around 22°C, while nights are about the same with lows around 12°C. Finish your sightseeing early on the 21st (Sun) so you can drive to Yosemite National Park. 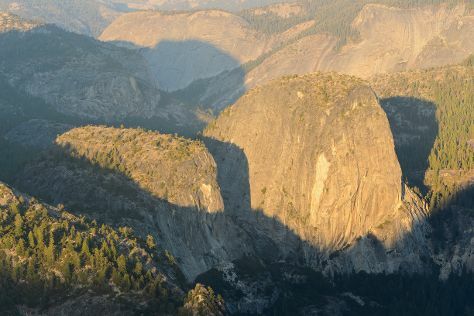 On the 22nd (Mon), admire the sheer force of Yosemite Falls, take in the dramatic scenery at Vernal Fall, then contemplate the waterfront views at Cathedral Beach Picnic Area, and finally explore the striking landscape at Glacier Point. To see ratings, where to stay, other places to visit, and other tourist information, use the Yosemite National Park tour website . Drive from San Francisco to Yosemite National Park in 4 hours. Alternatively, you can take a bus; or do a combination of subway, flight, bus, and taxi. Traveling from San Francisco in April, expect nights in Yosemite National Park to be much colder, around -2°C, while days are slightly colder, around 17°C. Finish up your sightseeing early on the 22nd (Mon) so you can go by car to Cambria. Cambria is a seaside village in San Luis Obispo County, California, United States midway between San Francisco and Los Angeles along California State Route 1 (Highway 1). Kick off your visit on the 23rd (Tue): take in nature's colorful creations at Cambria Nursery & Florist, kick back and relax at Moonstone Beach, and then identify plant and animal life at Elephant Seal Rookery. For reviews, traveler tips, photos, and other tourist information, you can read our Cambria trip planner . Traveling by car from Yosemite National Park to Cambria takes 5.5 hours. Alternatively, you can do a combination of taxi and bus; or do a combination of taxi and bus. Traveling from Yosemite National Park in April, expect Cambria to be a bit warmer, temps between 30°C and 7°C. Cap off your sightseeing on the 23rd (Tue) early enough to go by car to Carmel. Carmel-by-the-Sea, often simply called Carmel, is a city in Monterey County, California, United States, founded in 1902 and incorporated on October 31, 1916. 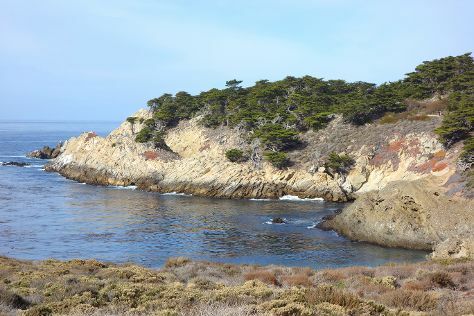 On the 24th (Wed), stroll through Carmel River State Beach, admire the majestic nature at Point Lobos, and then look for gifts at The Cheese Shop. Keep things going the next day: admire the majestic nature at Asilomar State Beach, trek along Partington Cove, then admire the sheer force of McWay Falls, and finally kick back and relax at Pfeiffer State Beach. To find other places to visit, photos, ratings, and other tourist information, you can read our Carmel road trip planner . Getting from Cambria to Carmel by car takes about 3 hours. Other options: do a combination of taxi, train, and bus; or do a combination of car and bus. Expect a bit cooler weather when traveling from Cambria in April: highs in Carmel hover around 20°C, while lows dip to 10°C. Cap off your sightseeing on the 25th (Thu) early enough to travel back home.